EA's time with the Star Wars license is fraught with cancellations and controversies. EA made headlines back in 2013 when the company signed an exclusive deal with Disney to develop Star Wars video games. This came just months after the House of Mouse purchased Lucasfilm for $4.05 billion. Six years and two canceled Star Wars games later, the deal is under scrutiny by fans who wonder what exactly EA is doing with the exclusive license. In the nine years EA has had the exclusive rights to make Star Wars console games, the studio has only released two games—both in the Star Wars: Battlefront series. 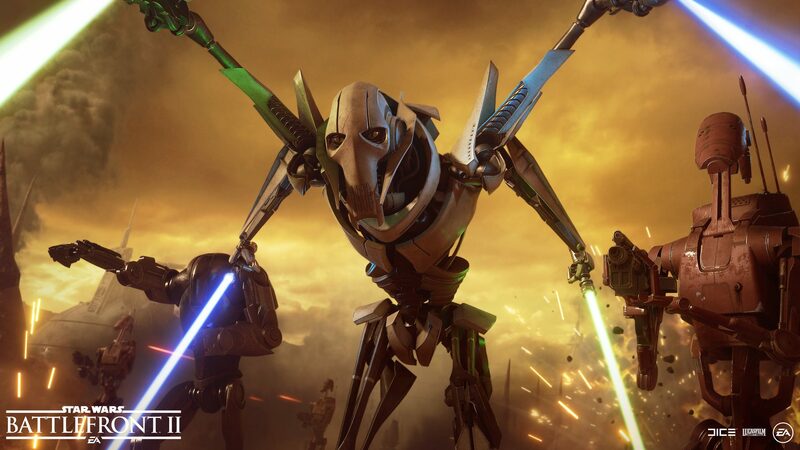 Star Wars: Battlefront 2 even included a loot box mechanic so controversial that it caused government agencies to begin investigating them as potential forms of gambling. With EA's near-decade with an IP as popular as Star Wars, it has not proven to be particularly fruitful. In October 2012, Disney purchased Lucasfilm and LucasArts for $4.05 billion. Disney then shuttered LucasArts, which resulted in the cancelation of Star Wars 1313. Seven months later in May 2013, Disney announced it signed a deal with EA to give the company an exclusive, multi-year licensing agreement. "Every developer dreams of creating games for the Star Wars universe," said EA Labels president Frank Gibeau in a press release. "Three of our top studios will fulfill that dream, crafting epic adventures for Star Wars fans. DICE and Visceral will produce new games, joining the BioWare team which continues to develop for the Star Wars franchise." While the details leading up to the agreement were confidential, EA already owned BioWare, which developed the influential Star Wars: Knights of the Old Republic RPG in 2003 for LucasArts. In 2011, BioWare released Star Wars: The Old Republic, a Star Wars-set MMORPG the studio continues to update and operate. A month after EA and Disney announced the licensing agreement, EA teased the first game to come out of the deal. At the EA Play event during E3 2013, EA announced Star Wars: Battlefront. Developed by EA DICE, Star Wars: Battlefront was a reboot of the Battlefront series popularized by Pandemic Studios. When Battlefront released two years later in 2015, reviews were generally positive, though many noted the lack of a campaign or single-player mode. Up to the launch of Star Wars: Battlefront, another EA studio was gearing up to do its part in EA's Star Wars licensing deal. As detailed by an extensive report by Kotaku on how Visceral Games and its "Project Ragtag" Star Wars game was eventually canceled, Visceral began developing two games in 2013: Battlefield: Hardline and an open-world Star Wars space pirate game codenamed "Yuma." Hardline faced development troubles and focus shifted to the Battlefield title, while Yuma's development lagged. Another shift happened inside Visceral when Uncharted director Amy Hennig joined Visceral in 2014 with the mandate to work on a new Star Wars game. But after successfully getting Hardline out the door, Hennig reportedly didn't want to work on an open-world Star Wars game in favor of a linear single-player game like Uncharted. A new, linear Star Wars game started up development at Visceral under the codename Ragtag. Development faced several issues along the way including layoffs, staff departures, and competition for resources with Star Wars: Battlefront 2—which was all in development in 2016. Finally, EA canceled Ragtag a year later in 2017 and shut down Visceral in what was described by one source as a "mercy killing." The conversation around Visceral's closure centered around whether EA was still interested in creating single-player linear games as Hennig wanted. A statement following Visceral's closing hinted strongly enough that EA wanted to move in a more live-service, online direction for Star Wars, and handed development over to EA Vancouver. In 2016, EA DICE, with the help of Jade Raymond's Motive Studio, officially announced development of Star Wars: Battlefront 2. The sequel would continue adding onto the series' multiplayer focus while adding a new single-player story mode to address the criticisms leveled at EA's first Battlefront game. Actor Janina Gavankar was hired to play Iden Versio, an Inferno Squadron commander who was inducted into the Star Wars canon as a new character. There was even an official Star Wars tie-in novel that introduced the Inferno Squadron to the Star Wars canon. But just as how the single-player (or lack thereof) was criticized in the first EA Battlefront game, the multiplayer for Battlefront 2 was coming under fire. Before Battlefront 2's November 2017 launch, EA held a beta, and that's when players began to feel suspicious over Battlefront 2's microtransactions. While loot boxes were an established video game mechanic, there's a tacit understanding that the rewards from loot boxes shouldn't impact a player's performance in a competitive setting. But that's exactly what players feared was happening in Battlefront 2. Players discovered that in addition to tangible gameplay enhancing rewards in Battlefront 2's loot boxes, earning the same rewards through in-game play was estimated to take dozens of hours. Battlefront 2 was labeled "pay-to-win" by players and EA DICE quickly went into damage control. EA rolled back the loot crates in Battlefront 2 permanently, and developers for later EA games like Battlefield 5 and Anthem have repeatedly assured players that its own loot boxes are cosmetic only. VentureBeat even reported that Walt Disney Company boss Bob Iger called EA CEO Andrew Wilson to discuss the Battlefront 2 loot box controversy. Earlier this week, Kotaku reported that EA Vancouver's open-world Star Wars game, the one that came out of the cancelation of Visceral's Project Ragtag, was itself canceled. It's been reported that EA Vancouver is now working on a smaller Star Wars game to coincide with the launch of next-gen consoles in 2020. Meanwhile, Titanfall developer Respawn announced a new Star Wars game at E3 2018 called Jedi: Fallen Order, which is still in-development. Nothing has been shown for Respawn's Star Wars game. EA's time with the Star Wars license has had its ups-and-downs, though it's easy to focus solely on the downs. As far as EA is concerned, there are still Star Wars projects in the pipeline thanks to Respawn's Jedi: Fallen Order. But we'll have to wait until EA's Star Wars license ends before issuing any final thoughts on EA's near decade and two shipped games with the Star Wars license. Tagged with Action,	Action Adventure,	EA DICE,	Electronic Arts,	FPS,	News,	PC,	PlayStation 4,	Respawn Entertainment,	Shooters,	Visceral Games,	Xbox One.